Welcome to the oldest Martial Art school in all of Austin, Tx. -- The Martial Arts Center of Austin. We would like to say thank you for stopping by and hope that you enjoy your visit here. This site was created for all seeking information about our amazing programs that all began in 1973. Our goal is to provide the highest quality instruction in traditional martial arts, modern combative sports, personal safety/modern self defense training, and our truly outstanding children’s programs. It is the mission of each instructor here at our school to be certain that all who have a true interest in the martial arts and all that it can offer receive the training that they desire. The different types of martial arts vary into the several hundred, if not more, and are practiced for a variety of different reasons. We, at the MACOA, encourage each student to seek out their particular path. The instructors are highly qualified and have undergone very intense and rigorous training and are required to have a minimal of 700 hours of practice before becoming a Level I Assistant Instructor. Most martial art schools award a black belt in as little as 300 hours of practice. But not here. 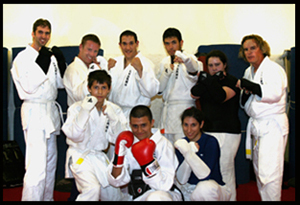 Our black belts are quite different than any other school you’ll ever visit. All of our black belts have had well over 2000 hours of practice. And unlike many schools where instructors received their black belt just by performing a series of movements, our black belts are walking encyclopedias of information. As a result of the highly impressive work ethic of our Chief Instructors, we have martial arts teachers from other martial art schools and disciplines traveling from all over the United States seeking instruction at our school. We feel that we are genuinely fortunate to now have these instructors from other fields of study branch out and train in our programs. Here at our school, our students learn more than just how to defend themselves. They undergo education in history, physics, anatomy/physiology, geometry and combative psychology. They become true experts in their fields of study. Due to this vast amount of experience, our school is able to provide an environment conducive to learning the highest level of martial discipline available anywhere in central texas. Many people ask if some kind of experience is necessary to join our martial arts school. And just like most other martial arts schools, the answer is absolutely not. In fact, zero experience of any kind is necessary to begin taking lessons and improving your overall health and well being. The only thing you need to get started is an objective mindset and the willingness to learn. 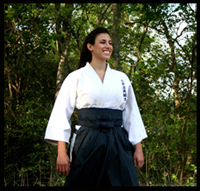 When choosing a martial art school, many people are uncertain as to what all to look for. We encourage you to look at every single aspect of the school you’re inquiring about. Essentially, we have made our school with the prospective student in mind. We offer classes 6 days a week with private lessons available on Sundays. We teach all facets of both armed and unarmed combative science including striking, trapping, disarming, joint-locking, joint-lock throwing, body throws, grappling (ground fighting via strangulations and joint locks) and both modern and traditional weaponry. We offer classes for all ages from 4 yrs old through 11 yrs of age. And our adult program has all ages ranging from teenagers through seniors. We are very conveniently located and we have some of the lowest prices in all of central texas. Not to mention, our instructors are the highest trained in the area with over 20 years experience and our Chief Instructors with 30+ years experience. And lets not forget that we’ve been here longer than anyone else in all of Austin, Texas. We recognize that no two people join a martial art school for the same reason. Between getting in shape and losing weight to sel-defense and self-discipline, we all have our reasons. 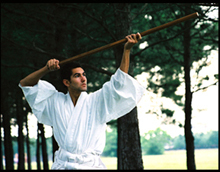 Many are inspired by purely the enigmatic vision that many martial arts provide. Others are solely interested in the pragmatic approach. And yet others are looking for a completely new way to get some incredible exercise, meet new people and make long lasting friendships. These, and so many more, are all excellent reasons to join a martial art school. We, again, would like to say thank you for visiting. Please feel free to peruse our website including our gallery, our videos and our many articles we will be writing from time to time. Also, be sure to check out our announcements page to see all of our current and recent news as well as all of our exciting sign-up specials. We know how challenging it can be to find just the right school for you and your family and we thank you for giving us an opportunity to letting our staff work with you for all of your personal fitness, self defense and martial arts interests. Take care and we look forward to seeing you on the mat.